Oh oh. Seems a whole lot of new fintech financial firms that were expecting to be granted a ‘fintech special purpose nonbank charter’ by the OCC (Office of the Comptroller of the Currency) may have to wait a while………or figure out a new approach. A lot of individual state regulators are suing to block granting those charters saying the the OCC lacks legal authority. So, if it looks like a bank, acts like a bank and wants to be a bank…………you may not be able to be a bank. BTW, this IS a big deal. 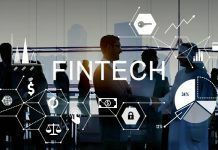 ‘After raising vociferous objections to the Office of the Comptroller of the Currency’s plans to offer a fintech charter, state regulators on Wednesday sued the federal agency, arguing it lacks the legal authority. The suit, filed in U.S. District Court for the District of Columbia, lays out the state regulators’ fundamental complaint that they’ve had from the beginning against the OCC’s charter, namely that the agency does not have statutory authority to create a special-purpose charter. 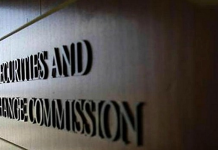 Citing the National Bank Act, the bank supervisor group argued that the OCC has the authority to charter only those firms engaged in the “business of banking.” The agency would need “specific congressional approval” to create a charter for nondepository institutions, as the OCC plans to do, the group said. 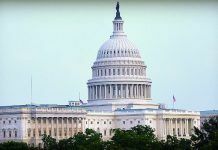 “The OCC’s proposed action ignores Congress, seeks to preempt state consumer protection laws, harms markets and innovation, and puts taxpayers at risk of inevitable fintech failures,” Ryan said.